The Bravo Audio Ocean is an entry level vacuum tube headphone amplifier. The inclusion of vacuum tubes in the signal path adds a very addictive “flavor” to the sound making it more enjoyable to some ears (like mine). Generally, amplifiers with Vacuum tubes span the price range from a few hundred to thousands. The Bravo Ocean is a budget headphone amplifier offering, that any audio connoisseur interested in dabbling or just plain curious with vacuum tubes can appreciate. The Ocean is one of smallest amps that I have ever owned and hence provides a lot of flexibility (or pain) in placement. The small unit can easily be accommodated in most desks and is even capable of travelling along in a backpack with a little planning ;-). The amplifier provides two headphone jacks to accommodate 6.5mm and the 3.5mm plugs, to pairs of RCA jacks – one for input and the other for output and finally a single 3.5mm jacks as well for input. Providing so much connectivity on such a small chassis does cause some “handling inconvenience” but nothing that spoiled my enthusiasm. My regular tube amplifier is the fabulous Bottlehead Crack – a terrific accompaniment to the Sennheiser HD650 and most high impedance headphones! Coming from such an exalted aural experience the fact that the Bravo Ocean did not disappoint is a great compliment in my opinion. The treble has good extension and shine. Though, that could also be a problem if you’re adding gear with bright signatures in the signal chain, as I felt with my Cambridge DAC Magic the amp was slightly bright and was just right with the Fiio X3 as the source. The choice of tube dictates the flavor of sound, so one always has the option of tube rolling to change the sound to some extent. My impressions here are based on the default tube, I did notice using the Lorenz 12AU7 added a little more definition to the highs and lows in my setup. Soundstage is very decent and never felt constricted for an amplifier at this price range. bass lines come out with enough tautness and intensity. The bass is very characteristic of tube gear and has that nice satisfying “thud” without ever getting too much. The amp is fast and has good attack, and that is high praise considering my regular solid state reference the Burson HA160 excels at both.Enjoyable bass, though I would have liked a bit more texture and extension. There is no significant bass bloom or bleed into the mids, an appreciable character at this price point. The mids are clean and carry that tube flavour without overdoing it. If you are looking for a liquid lush tube experience then this isn’t it. The Ocean has a slightly sharper/harsher tone compared to the Bottlehead crack. It is faster yet seems to lack on that “snap” that comes so easily on the crack. The Ocean puts on a decent performance with the HD650, so if you are looking to for an entry level tube amp for the 650 this one provides good tube sound for the money.On the solid state front offerings from Fiio and the DIY O2 serve as suitable alternatives. I don’t have any of the Fiio offerings with me at the moment so I will skip comparisons with them. The Superlux HD330 and the Bravo Ocean make a good couple and may well be a bang for the buck combo. The 330 has a warm sound signature with nice detail in the highs and combined with the Ocean, they matched very well. I could also feel a good synergy with the Superlux HD562, nice punchy and impactful presentation with good clarity and pace. The O2 is a very neutral sounding amp and a good buy for the price. The O2 offered better soundstage and overall clarity compared to the Ocean, but it does not have the “tube” flavour! So if you have the O2 and are curious about tube amps the Ocean is a good one to add to your gear inventory. Now you can play lower impedance headphones on the O2 and enjoy the higher impedance cans on the Ocean. Gregory Porter’s “Liquid Spirit” was a pleasure to listen on the Bravo Ocean, the Crack Speedball bested the Ocean on Soundstage, clarity, smoothness/creaminess in the mids but I still could not stop myself from wondering the amount of enjoyment this little amp offered for the money. Speaking about value, when I did plug in some lower impedance cans on the Crack there was a loss in fidelity (as expected due to the high output impedance) but the Ocean did a very admirable job there too though the gain on this thing is really high. The maximum I could push the volume knob on the Ocean was between 7-8 o’clock, with lower impedance phones like my Yamaha hph Mt220 or AKG K551 it was always just at 7! There is some channel imbalance at very low volumes but just a slight push on to nominal listening volumes proved trouble free. If you’ve got lower impedance headphones, the Schiit Vali or the Little dot Mk1+ (both tube amps) may be better choices than the Ocean. The amp uses the complete aluminium body as the heatsink and gets very warm to hot, so it should be placed in a suitable place to avoid accidental contact. Care should also be taken not to place it on top of plastic or surfaces that are heat sensitive.The close placement of sockets in the amp makes it a little difficult to handle at times but that is a sacrifice one has to make for the price and size. The only disadvantage that I see with the Ocean is that it does not scale with higher quality cans which much more expensive amps seem to be able to do, but that should not prevent you from picking up this little tube magic. I have included the Youtube review of the Bravo Ocean by fellow audio gear enthusiast Dale Thorn for further impressions. I also recommend Clint the Audio Guy’s review of the Bravo Ocean on youtube. As a preamplifier, the Ocean performed a nice job in my setup. My Trends TA10.1 paired with a pair of Yamaha EX800 bookshelf speakers are dream performers for the price. The speakers are slightly less sensitive for an ideal match with the amp which means I would have to sacrifice some volume. 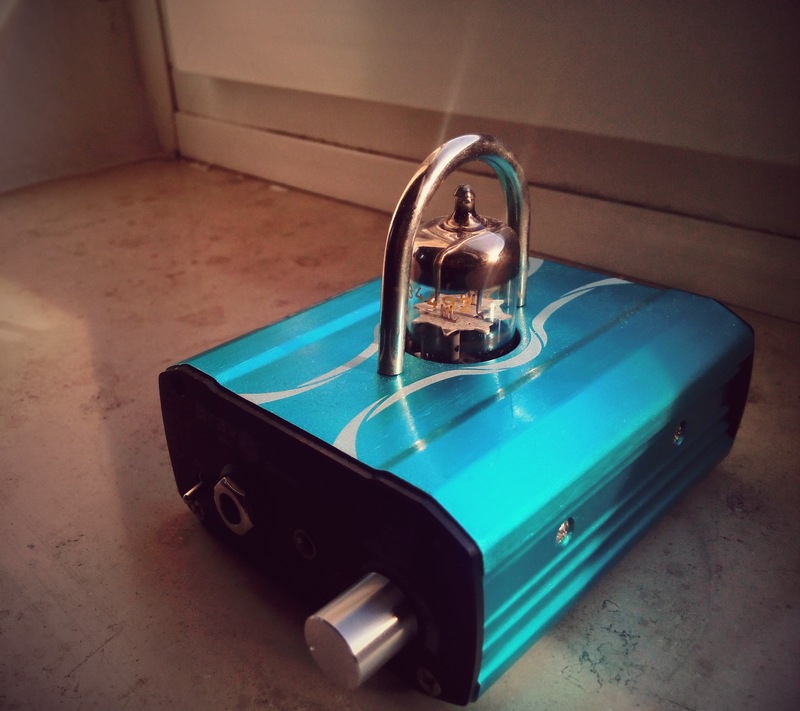 I had been toying with the idea of building myself a Bottlehead Quickie but the Bravo Ocean was an optimum replacement for the Quickie. The sound was powerful without losing any of the magic the TA 10.1 put out! The tube flavour came through with only the slightest of colorations, nothing strong in my opinion. I can only describe the Ocean as a very transparent preamp with just the right touch of tube flavor. The size of the amp does become an issue here as the cables connected to the Bravo Ocean were able to easily displace the unit with the slightest tug! You can’t have everything…., right ;-). You can also try reading further impressions as a preamp. Great Sound at a good price & size! I love listening with the “tube flavour” but I am tied down by the size of tube gear. My Bottlehead Crack is wonderful accompaniment at my desk but I just don’t feel carrying it around the home as a good idea. The Bravo Ocean effortlessly slips into this all-around role of an amp that I can have around the house and even travel with. The Bravo Ocean seems to be the lone option for consumers looking for a compact, economical and good sounding tube amplifier for their medium to high headphones. It also is a remarkably performing preamp that adds value to any entry level stereo speaker setup. The small footprint makes it flexible for small or congested desks and even carrying it along as a trans”portable” tube amp. The performance of this amplifier is quite remarkable for the price and definitely earns a strong recommendation from me. The Bravo Ocean seems to be the lone option for consumers looking for a compact, economical and good sounding tube amplifier for their medium to high impedance headphones. It also is a remarkably performing preamp that adds value to any entry level stereo speaker setup. The small footprint makes it flexible for small or congested desks and even carrying it along as a trans”portable” tube amp. The performance of this amplifier is quite remarkable for the price and definitely earns a strong recommendation from me. hello, I have the following headphones: senn hd598, grado ps500, vmoda m100, dunu titan 1 iem and a fiio x3 as source/dac. do you think this is a good amp for me? am i gonna fell difference between using this amp and using the fiio x3 alone? thanks. Hi, the gain on the ocean is way too much for the headphones you mentioned. IEMs may be even more trouble with this amp, you may not be able to get usable volume adjustment. Generally the Ocean does provide a nice flavored sound compared to the Fiio X3 – using suitable headphones. hey balachandar, thanks for the prompt reply! not many options available in my country (Brazil). do you know if these headphone would benefit from a proper amp or the amp inside the fiio x3 (as a usb/dac) is good enough for my headphones? never tried desktop amps before. Thales, happy to help. 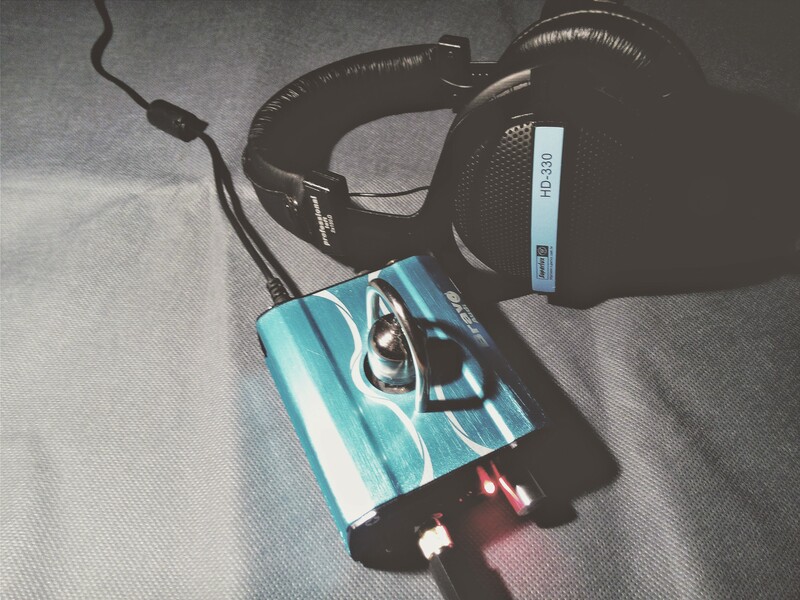 The 598 and the ps500 definitely improve with an amp. I would recommend budget options like the O2, little dot1+ (here you can improve the sound with tubes) and if you can manage to find one for a good price the CKiii. All these would give you a reasonable upgrade in sound. The fiio X3 is a good player with a decent amp but it can definitely be beaten by the above mentioned choices. The Grados sound especially nice with the little dot amp. Can you please tell me if is it possible to change the tube in the Bravo Audio Ocean? if yes youc an suggest me a good one ( better than the stock tube)? really appreciated. Thnaks to you i bought ocean + superlux hd330 and should arrive in 3 days from now!. Yes, it is possible to change the tube in the Bravo Ocean but alternate tubes provided only very slight change in flavor! I would recommend that you stick with the default tube for a few months and enjoy the HD330. May be eventually you can try some other tube – any 12AU7 would do fine.